Athens, Cairo, Madrid, Istanbul, Lisbon, Sao Paulo. The list goes on – and it is in constant need of being updated as new protests make headlines. In these and other cities, the crowds have taken to the streets. Government buildings are besieged. Riot police is called in. In most countries, though, resignation and muted cynicism about politics remain – for now – the norm. All around the world an awareness grows that our democracies are failing. In a concise and accessible way, Rebooting Democracy: Beyond Parties and Politicians explains why the problems we are facing arise from inescapable, structural aspects of how our political systems currently work – and proposes four concrete, innovative ideas to help fix them. 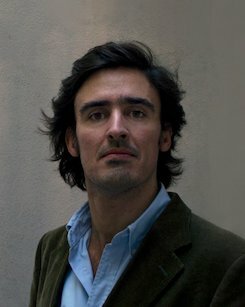 Manuel Arriaga is a lecturer at the University of Cambridge, where he has for several years conducted research and taught on how organizations and individuals can become more effective decision-makers. Effective August 1st 2013, he will also hold an appointment as visiting research professor at New York University. He has published several articles in leading management conferences, contributed to academic books and is an award-winning teacher. He holds a Ph.D. in Management and Information Systems from NYU and a B.A. in Economics from Universidade Nova de Lisboa. "A quick and easy read that makes the case for why existing political systems are inadequate and then shows examples of how to move us past those problems and toward more democratic systems. Along with many clever insights, Rebooting Democracy: A Citizen's Guide to Reinventing Politics points the way to where democracy is heading." "A short and engaging book. Written in the irreverent, outsider spirit of the Occupy protests, Rebooting Democracy: A Citizen's Guide to Reinventing Politics goes well beyond critiquing the status quo. It discusses several ways to democratize our society. An essential ingredient of the proposals is a radical expansion of the role of juries: the book argues that having groups of randomly chosen citizens making political decisions is the core of democracy. Interesting and well-worth reading." "Don't you feel sometimes that there is something wrong with contemporary democracy? That politicians are like a separate caste which makes decisions over the heads of people? Why is this happening? 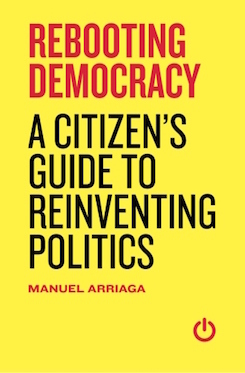 In Rebooting Democracy: A Citizen's Guide to Reinventing Politics, Manuel Arriaga answers these questions in a straightforward manner, carefully explaining point-by-point how it is possible that those we elect so often fail to represent us. This short book prompted in me to the issues which I had never thought of before." "If you want things organized, you might have to read some quite tricky books about democracy, such as Rebooting Democracy." "A rare democracy book that manages to be practical, realistic and radical. A great read for those who despair of any actionable options." "A short, sharp shock to the body politic, Rebooting Democracy: A Citizen’s Guide to Reinventing Politics is a smart critique of what's wrong with the current system—and what needs to change. Accessible, engaging and brimming with ideas for reinventing politics in the 21st century." "Passionately argued, yet plainly written, Rebooting Democracy is part scholarship, part manifesto—a wholehearted call for civic engagement at a time of growing dissatisfaction with politics. Manuel Arriaga’s book challenges the idea that our democracies cannot be improved and successfully builds a case for political renewal." "In so many corners of the world there is a pressing call for political change. Yet we are in an uncertain era where political ideologies and institutions are tired and no longer able to provide answers. Political activists—and all of those who feel disenchanted with our current way of doing politics—need a new political vocabulary. Manuel Arriaga offers them a stimulating start at re-imagining democracy in his pithy little book, Rebooting Democracy: A Citizen’s Guide to Reinventing Politics." Manuel Arriaga will be one of the plenary speakers at the upcoming World Forum for Democracy. He has written a fascinating accompanying piece for Open Democracy.